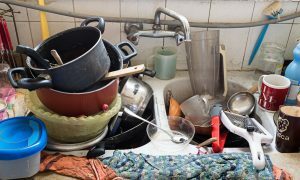 If you’ve showered yourself with good intentions about doing some spring cleaning, there are a few spots you don’t want to miss. Routine bathroom cleaning means hitting the fixtures and the floor with a good once-over. That’s a terrific start, but for a deeper clean, consult this checklist for 10 things you don’t want to skip. It would be great if only clean feet hit the clean bath mat. Since the whole family is in and out of the bathroom all day long, it’s pretty likely your bath mat needs attention. Start by giving it a safety check to see if it is losing its no-slip backing or if it no longer lies flat, as both are trip hazards. Most bath mats can go in the washing machine. Some can be air-dried and others put in the dryer. Check your rug’s tag and follow manufacturer directions. Organizing Tip: When you buy a new bath mat for a frequently used bathroom, buy two. This way you can routinely throw one in the wash and reach for a clean one to put down in its place. Shower curtains don’t need to be cleaned often, but spring cleaning is the perfect time to take care of this task. Most fabric curtains can be taken down and washed—again, check the tag and follow the directions. As for waterproof liners, inspect them to see if you find mold and mildew forming along seams or areas that often stay wet. Replace with a fresh liner or remove the soiled one and clean it. It might be time to toss that toothbrush. According to the American Dental Association (ADA), you should switch to a new toothbrush every three to four months or when bristles become frayed. The ADA does not recommend any cleaning methods as a substitute for a new brush. Organizing Tip: Buy a multi-pack of toothbrushes so you have extras available as soon as you need them. The spot where you store your toothbrush typically has an accumulation of drippings and toothpaste. Use some hot soapy water to clean your holder. A small scrubbing brush is good for reaching into tight spaces. Cleaning your hairbrush and combs should be a regular task. After all, dirty hair and a buildup of products is not something you want to brush back into your clean locks. Clean your brushes by first removing any hair from the bristles. (A comb and a pair of scissors are helpful with this task.) Then shampoo your hairbrush in warm water, rinse well and allow to dry. You may not have given much thought to the pores in your loofah, but according to the Cleveland Clinic, they can be a breeding ground for bacteria that can even lead to skin infections. They recommend to weekly soak it in a diluted bleach solution for five minutes and then rinse thoroughly. The Clinic also recommends replacing your loofah every three to four weeks. Grab the bathroom trashcan and banish the germs. Give it a good cleaning inside and out. Allow it to dry well. Add a liner for easy maintenance. 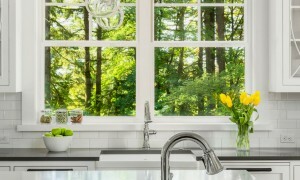 From floor vents to bathroom fans, these often-forgotten spots definitely need a spring cleaning. Those on the floor have dirt and hair fall into them, while ones on the ceiling can collect dust. To clean them, first remove the vent cover. Then use the brush attachment to your vacuum to clean the top and underside of the cover. Use your nozzle attachment to vacuum up debris, then replace the clean cover. For fan vents, a wet sponge is useful for collecting dust that has accumulated on the cover. Why wait for a clog? Now is the perfect time to fish out any accumulation of hair and prevent buildup. Remove the drain stoppers from your sink and shower. Give them a scrub and return them to the drain. Do a bit of spring organizing and reclaim storage space by purging your drawers and cabinets. Jose Zuniga of MakeSpace recommends sorting through everything in your medicine cabinet and vanity drawers. “Throw out anything that’s expired, including old medication. Only keep the items that you use on a regular basis, such as your toiletries and grooming supplies, in your bathroom,” he says. “Now that you’re left with only the items you use on a regular basis, look to your walls. They’re prime real estate for storing your bathroom supplies without hogging any floor or counter space. For the extra items that you don’t use often—like first aid supplies and spare rolls of toilet paper—put them in a labeled basket or clear storage container and store it on a closet shelf,” he recommends. As you organize, give shelves and drawers a quick wipe to ensure you’re starting with a clean slate. Armed with a fresh eye for attention to detail, your bathroom will not only look clean, but it will feel clean, too. 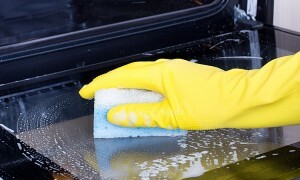 Professional organizing expert Lea Schneider writes for Home Depot about cleaning and organizing. She provides advice and tips on cleaning everything from shower curtains to different types of bath mats to loofahs.